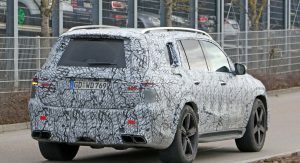 The 2020 Mercedes-AMG GLS 63 is currently in the development phase and, based on these spy shots, it should be more aggressive-looking than ever. 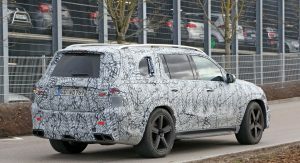 Testing of the next-generation high-performance SUV has been ongoing for more than 12 months yet Merc still puts a lot of camouflage on the cars, thus hiding the SUVs design. 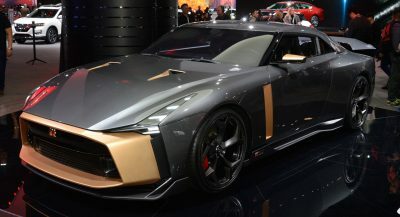 Fortunately, this particular prototype has shed some of the body cladding of prototypes we saw last year. 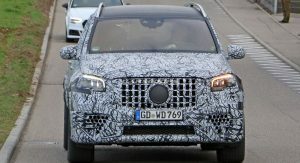 Viewed from the front, it’s clear that Mercedes-Benz has drastically altered the shape of the GLS’s headlights. 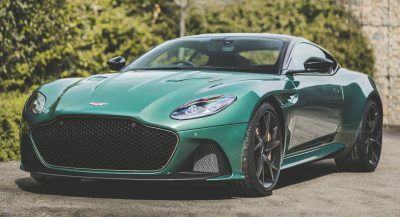 They now appear slightly smaller and adopt softer lines than those of the current model. 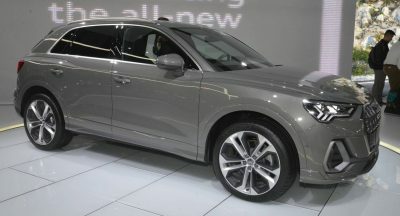 In addition, the incorporated LED daytime running lights now have a different shape and double as the turn signals. 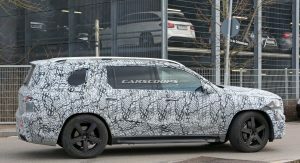 The side of this prototype is bathed in camouflage but we are at least offered a view of sporty, five-spoke black wheels sitting over a set of beefed-up brakes. 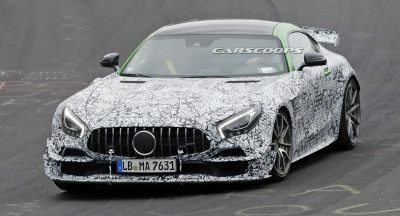 At the rear, the prototype includes a small spoiler stretching off the roof as well as quad tailpipes, which is typical of an AMG model. 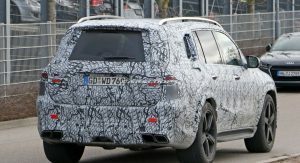 The outgoing GLS 63 is fitted with a twin-turbo 5.5-liter V8 pumping out 577 HP. 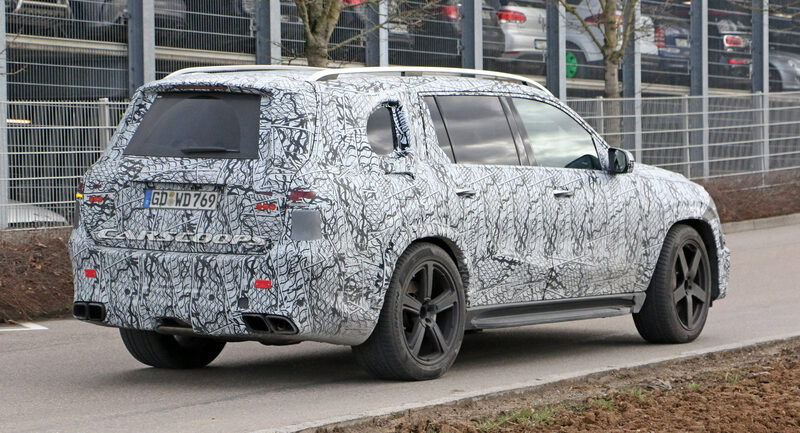 However, it seems likely that the new model will ditch this aunit in favor of AMG’s latest 4.0-liter twin-turbo V8. 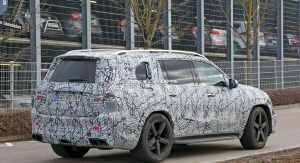 Despite the reduction in capacity, the new GLS 63 will at least match, but most likely exceed, the power of the current model and at the same time use slightly less fuel. 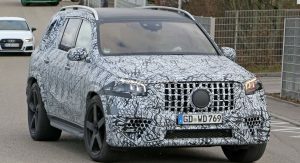 The cabin of the 2020 GLS 63, as well as the rest of the latest-generation GLS range, will be updated with a host of new features. 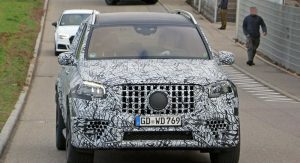 For starters, the automaker’s MBUX infotainment system is bound to come as standard and the SUV should also receive a number of semi-autonomous driving systems already featured in the E-Class and S-Class. 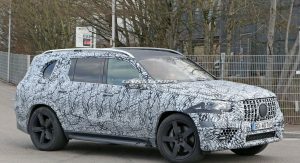 Although we have no official timetable just yet, we expect Mercedes to unveil the 2020 GLS 63 this year. 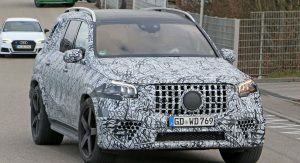 Mercedes is making it just to slap on that huge grill to compete with the X7. True, well It Is what its competing! 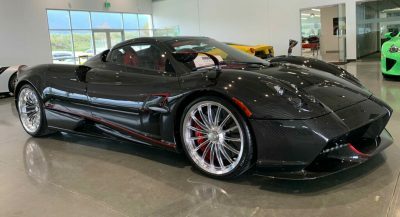 More huge, fast and insane SUVs please! This is going to be an insanely fast bus.